When choosing what to produce, you first must be passionate about the subject matter. What is interesting to you? What is interesting to others? Any story you are making into a film will take a long time - much longer than you think - so you must believe in the story. 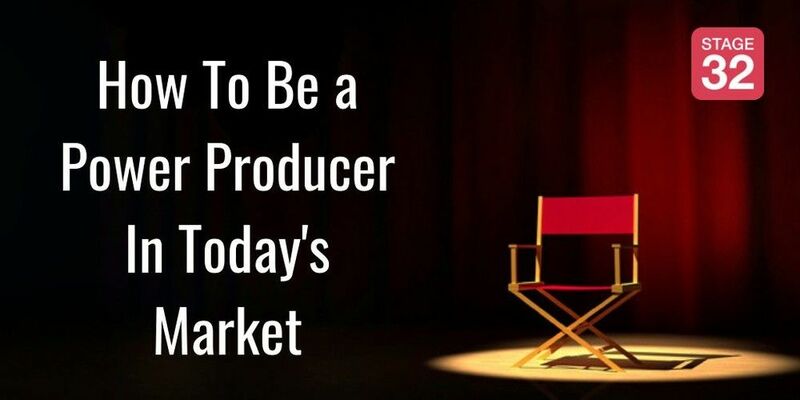 A great original story is always exciting to watch, but today’s marketplace is relying heavily on stories based on underlying properties in order for you, as a filmmaker, to get the greenlight. Articles, books, graphic novels, podcasts are more important than ever to get a project to the finish line. A great script and cast are essential, but having a built in audience is crucial these days. 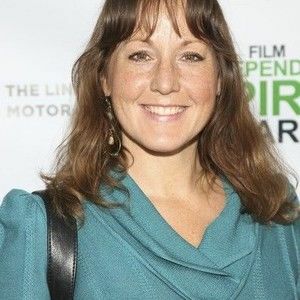 Your host, Aimee Schoof has adopted this strategy and has become a power producer making over 35 films and having 9 films premiere at Sundance, 4 at Tribeca and 3 at SXSW. Aimee will give examples of films that have been made from underlying IP, and she’ll go over some personal experiences from films she’s made that are based on real people and their stories, as well as graphic novels/comic book properties. Should you focus on one project or multi-task? Aimee Schoof Co-founded Intrinsic Value Films with Isen Robbins, and have produced more than 35 feature films. Of those, nine have premiered at the Sundance Film Festival, four at the Tribeca Film Festival, three at SXSW, and one each at LA Film Festival, Toronto, Venice, New York FF, New Directors/New Films, and Berlinale to name a few. The company develops, produces and sells independent lms that have been distributed worldwide, have won many awards and been honored with numerous nominations. 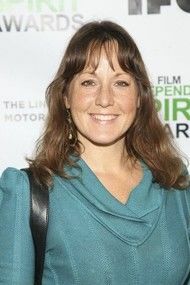 Accolades include winning a Sloan Sundance award, a Sundance Special Grand Jury prize, and being nominated 5 times by Film Independent as producers. They are currently both Sundance and Film Independent Fellows, have worked in international sales attending all major markets, and regularly lecture on film finance and production. They have expanded into Television and currently have a slate of scripted and unscripted projects and feature films in all phases of production. Aimee is a partner in comic book publishing company Red Giant Entertainment, developing comic book properties for film and TV. To kick off your directing career with Roger Ebert calling your film "One of the best films of the year" you can pretty much be assured you're on a path to success. We are proud to present to you the director who has done just that - Michael Polish. After his Sundance darling Twin Falls Idaho garnered Roger Ebert's critical acclaim he has gone on to direct over 10 feature films including: The Astronaut Farmer, starring Billy Bob Thornton and Virginia Madsen Northfork, starring Nick Nolte and James Woods The Smell of Success, starring Billy Bob Thornton, Tea Leoni & Ed Helms Hot Bot, starring Zack Pearlman and Danny Masterson Stay Cool, starring Winona Ryder and Sean Astin (Nominated for best feature at Tribeca Film Festival) Big Sur, an adaptation of the Jack Kerouac novel starring Kate Bosworth For Lover’s Only starring Stana Katic (CBS’s hit show Castle) 90 Minutes in Heaven, starring Hayden Christensen Amnesiac, starring Wes Bentley The upcoming Sharon Tate biopic adapted from Greg King’s book Sharon Tate and the Manson Murders Michael will be teaching the 2nd installment of our Stage 32 Masters of Craft series - The Indie Filmmaker's Toolkit: Maximize Your Resources, Creativity and Profits. In this online event Michael will share with you how a professional director approaches a film from inception and carries it through to post-production including a discussion of available distribution options. The goal is to give you the agency to make your films without the necessity of the Hollywood studio system (though this information will be handy if that's your path as well). He will go in-depth about the director’s process from finding superior scripts and setting your priorities in pre-production to the challenges of running your set, leading your crew and balancing the demands of your producers. 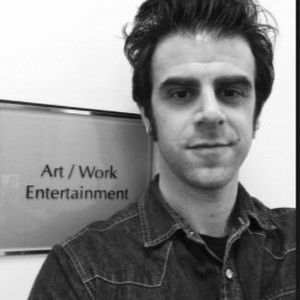 He’ll explain how to interact with everyone vital to your film’s success from producers and film executives to actors, cinematographers, and editors to get the best version of your film. Finally, Michael will share insider knowledge on effective methods to market and distribute your film that will give you the power to maximize your profits. 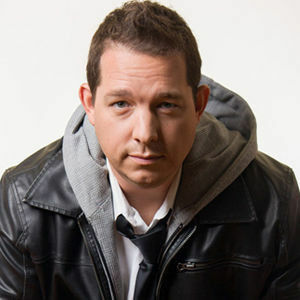 From his experience writing and directing 10 feature films, he’ll share his war stories (like losing vital funding in the middle of a shoot) and his strategies for dealing with any obstacle that arises. You’ll be better equipped to deal with mishaps and avoid filmmaking pain points. 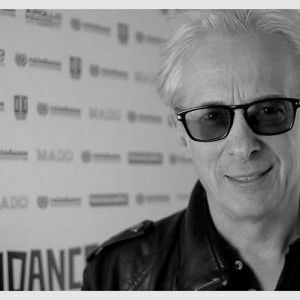 If you want to make your film and you want to know where to start, how to proceed and how to ensure you walkaway with a masterpiece, this is the webinar for you! You’ll leave with a comprehensive understanding of what is necessary to succeed as an indie director and gain control over the direction of your career. Session 1: Initial Contact: Where do producers look for material? If you’re a producer, selecting the right writer for your story. Should you really sign up for those websites that claim to get your stuff read? What makes a producer decide to read your material? How to get past the measures designed to keep you on the outside. Repped vs unrepped. How many projects is a producer developing at any one time? How To Write To Get Read. What hooks a producer, development exec or reader and are those things different at different budget levels? Should you go ahead and write your $100 million dollar summer blockbuster? Writing to get it made now. Pre-existing material. Where you find it, how to get it. Coverage. Who’s reading? What are they looking for? How do they judge? Recorded Q&A with Shaun! Session 2: What is “development” really and how long can it take? From big budget films to indies, the time period can vary wildly. What are the factors? Is there a way to “beat the system” and ensure your film gets going? Building your relationship: Working with a producer or development exec. can be a stressful process. Learn how to navigate this so that you end up with the best version of your project. Fighting/Making up/Moving on. So you’ve hit a wall. They want more changes and you’re not willing to go there. How to move past the inevitable speed bumps and get going again. Is being replaced inevitable? You’ve been optioned/hired… Now what? Beginning to understand the dynamics of your new relationship. If you’re a writer, how to work with your new producer/partner to create the best result. If you’re a producer, how to navigate the process with your screenwriter. Differences between indie/big budget in terms of development Thinking in terms of production: While certainly not a “must” for writers, having some sense of what may go into crafting a single scene from a practical perspective can be of enormous value. Recorded Q&A with Shaun! 6 Steps to Produce Your Best Creative Work! 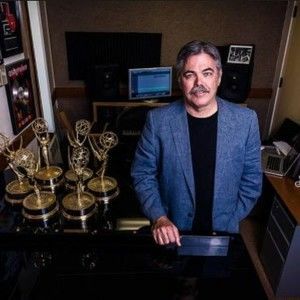 Learn directly from Chris Boardman, 6 time Emmy Award winner and Academy Award nominated composer. There is a myth that great creative achievements are only born from personal tragedy or dysfunctional behavior. And while strongly felt emotions can enable a creative spurt, we don’t need to go to a dark place to be able to execute our creative projects. In fact, anyone who consistently delivers creatively will have made peace with their demons. They have figured out what works for them and what doesn’t, and use that to streamline their creative process and deliver consistent results. Those who have sustaining careers learn how to turn on their creative engine at will. It’s not an accident. It’s predictable. It’s practiced. It’s what separates the amateurs from the professionals. It’s time for you to develop your own streamlined creative process and become more productive than ever before. 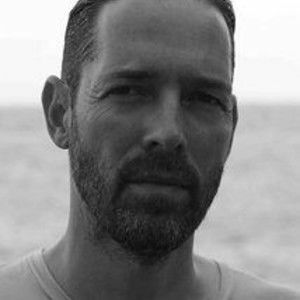 In this Stage 32 Next Level Webinar, 6 time Emmy Award winner Chris Boardman will take you through the 6 steps of understanding your own personal creative process and using it as effectively as you can. You’ll learn why you aren’t as productive as you can be, and how to get yourself unstuck and deliver creative yet consistent results. Whether you are an actor looking to find the inspiration to perform, a writer looking to develop an authentic idea, or a cinematographer looking to shape your canvas, this webinar will help you get into the creative zone for that process. Or, as a filmmaker looking to tell your story or a gaffer looking to light the beauty of the story you are about to shoot, take time to learn from Chris the tools to be effectively in that creative zone. All professions in the creative industry can benefit from this webinar. The only chance we have to connect with an audience as a storyteller is to be brutally honest and vulnerable. The path to that type of impact comes from being clear about ourselves, and why we do what we do. Chris hopes this webinar is provocative, inspiring and thought-provoking. And, hopefully fun too! All of us in the creative arts deal with these issues. Bring your questions because no matter how trivial it may seem, or how self-conscious you may feel...you are in great company.